Mold can spread and affect clean areas. 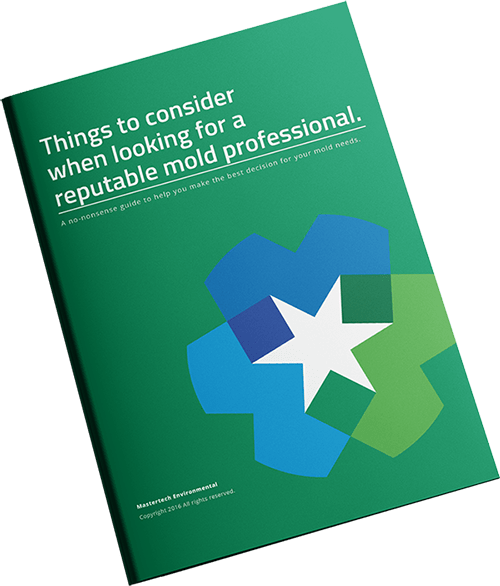 Mold experts can contain the problem & safely remove it. What Causes Mold Growth in South Jersey Attics? Leaks – You should check your attic regularly for leaks or signs of leaks. Early detection can make all the difference when it comes to mold and water damage. Roofing – Problems with your roof system can lead to major water intrusion and serious mold development. Ventilation – Insufficient air circulation and ventilation is one of the most overlooked cause of attic mold. It is also one of the most common driving causes of mold development in NJ attics. Insulation – Attic insulation minimizes heat loss or cool air loss, which will help to prevent elevated humidity and condensation. Landscape – Your home’s surroundings are very important to keeping your roof safe and damage free. Plant trees and large plants away from the home. Trees and bushes provide damp shade for moss and algae to grow on your roof. Damp shaded areas can hold moisture to a roof system’s surface, causing rot and deterioration. Trim branches away from your home. This will help limit the amount of damp shade areas on your roof. Neatly groomed trees and bushes will help to avoid scratching and gouging of the roof surface by branches. It will also limit the chance of loose branches falling into the gutters and causing a blockage. Dehumidifier – Attic dehumidifiers can help to keep your NJ attic dry. If you attic is especially damp or humid, a dehumidifier can help. Declutter – Attics are often used for storage. Cluttered spaces limit air flow and can promote moisture buildup (especially in already humid environments). Take some time to regularly organize and purge some of your stored items. This will open up your attic and help to optimize air circulation.